Here’s an incredible over under. It’s an all original, nearly new Ogden Smiths & Hussey Imperial Ejector from around 1930. It’s in its original case and it comes with all its original accessories. Double triggers. Straight grip. All that color case hardening. Holy sh!t is right. Ogden Smiths was a fishing tackle company at 62 St. James St. in London’s prestigious West End. In 1923, the company reformed with the addition of gunmaker Henry H. Hussey (son of famed gunmaker H.J. Hussey) to sell guns under the name Ogden Smiths & Hussey, Ltd. Even though this partnership lasted until 1933, very little is known about the guns they made. We do know that Hussey built firearms of different styles and qualities, including single-barrel trap guns, Anson & Deeley boxlocks and best-quality, SxSs. This OU has 1925-1954 London proofmarks on it. It’s the second I’ve seen with the Ogden Smiths & Hussey name on it, and I think there are at least two more out there, including one that may be a 16 gauge. All these OUs were probably built for Ogden Smiths & Hussey by the Hill family. 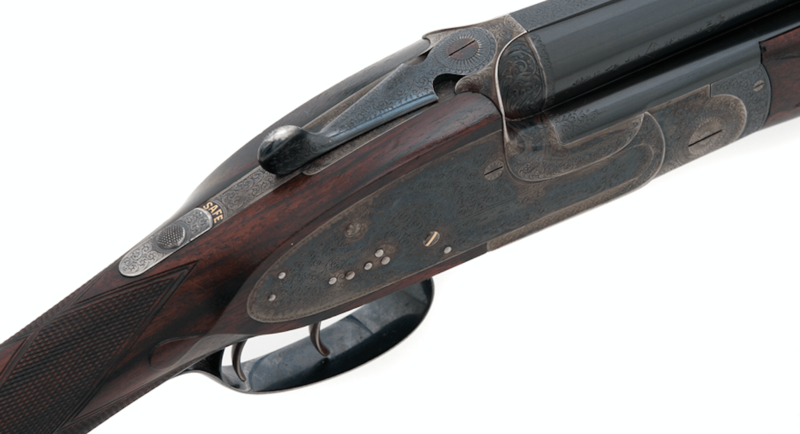 Charles Hill was one of the creators of the James Woodward-patent Under & Over shotgun. After helping Woodward come up with the design for their famous shotgun, he built similar doubles for other gunmakers. When he died, the Hill family carried on this work and built OUs for firms like Henry Atkin, Churchill, and Ogden Smiths & Hussey. 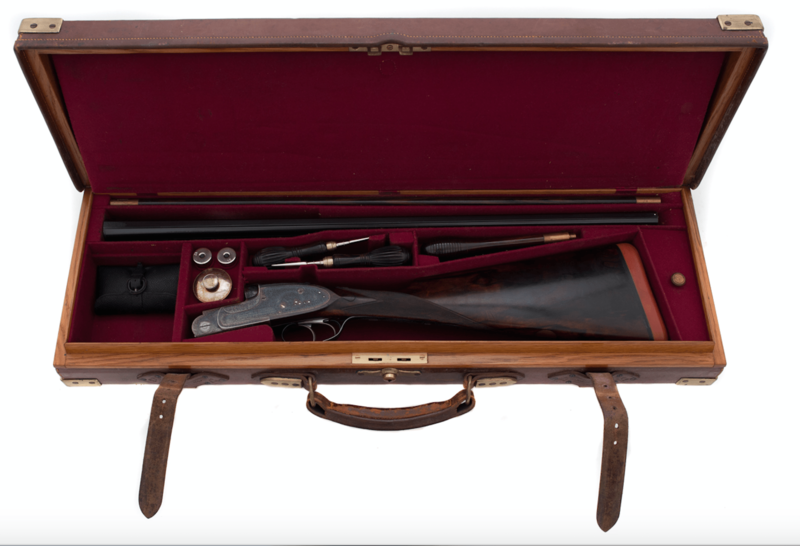 BTW: If you have an Ogden Smiths & Hussey shotgun, case, accessories, or catalog, or if you know anything about the company, please drop me an email: Gregg@DogsandDoubles.com. I would love to hear about them. And I would like to thank author John Newton for some of the information in this post.